Magma, the volcano that looms over our lives, is hungry. He’s been fed no virgins since the last full moon. Deep down, his stomach is rumbling. Soon the priests must decide which village beauty will gain her certain path to paradise. It’s Tiffany’s turn, but rumor has it she hooked up with Randy Jones, and on Saturday night was out till 3. Ashley is ready to give her all, but may already have done so – her pink top is suddenly too tight. Where have all the virgins gone? We put an ad on craigslist, and in the weekly shopper. We put up a notice at the post office and checked in all the bars. We’ve gotten lots of calls. A lady named Tickle Your Fancy said she’d do anything for money, but she has three kids. Cute little Sweetpea out at the yam patch said she’d have to check with her boyfriend before committing. Oh for the days when girls were pure, and mighty Magma was silent, for none will escape his volcanic wrath. 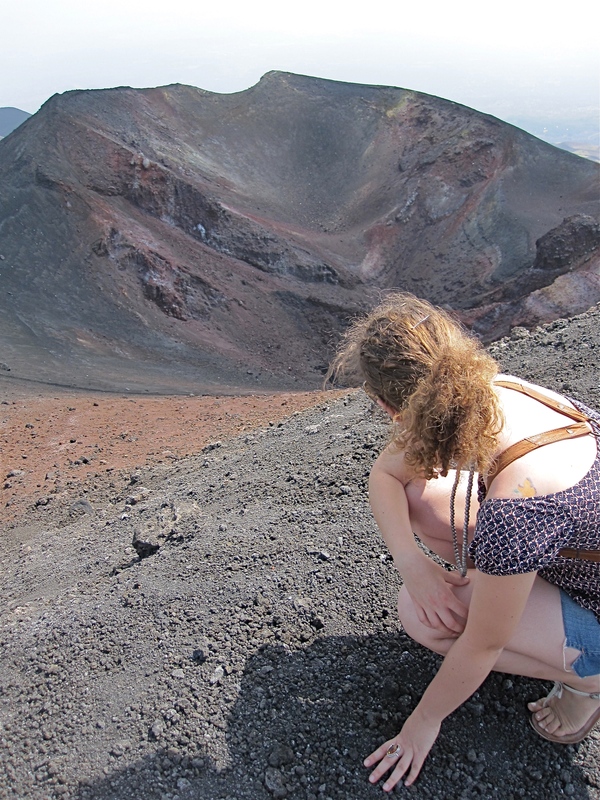 Magma, which looks remarkably similar to Sicily’s Mount Etna, is an impatient volcano. The young woman below was willing to give herself to the hungry mountain to save the village, but finally admitted she is married. Time is running out. Soon the lava will flow and the ash will billow into the sky. There will be no escape. Magma will have his way, one way or another. Tags: volcano. Bookmark the permalink.